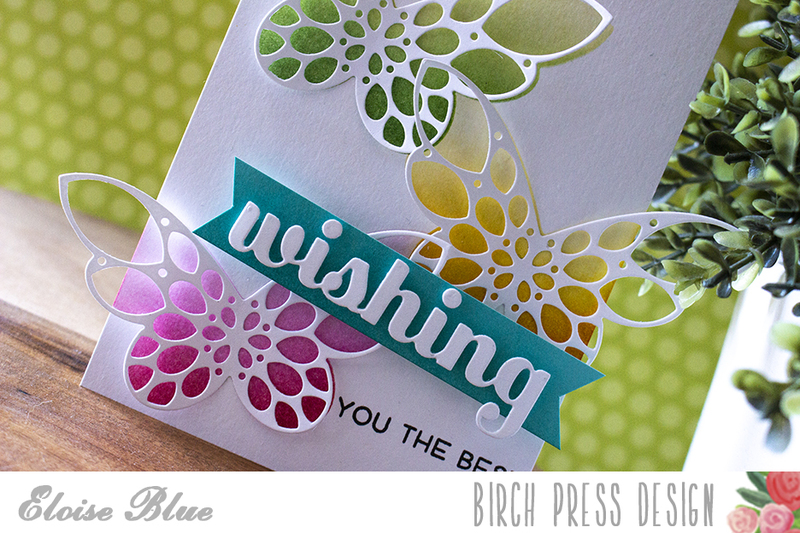 Hi everyone, today I'm back again for Birch Press Design with another project. I'll be using the Sparkler Butterfly Die as a stencil to do some ink blending. The video is linked down below, or head over to the blog for more information. Thanls for watching and stopping by today. See you all next time. Hi. I've never heard of Birch Press, but this butterfly card is wonderful. Can you purchase them online? Lovely, lovely design. Thanks!